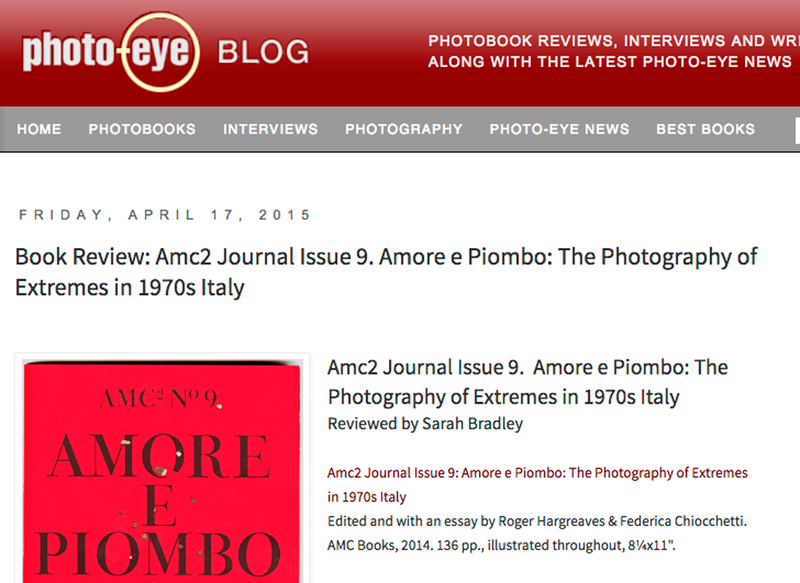 In 2015 Sarah Bradley reviewed Amore e Piombo: The Photography of Extremes in 1970’s Italy, edited by our very own Federica Chiocchetti and Roger Hargreaves. The book went on to win the Krazna-Krausz Book Award in June. I confess that I am a bit behind. 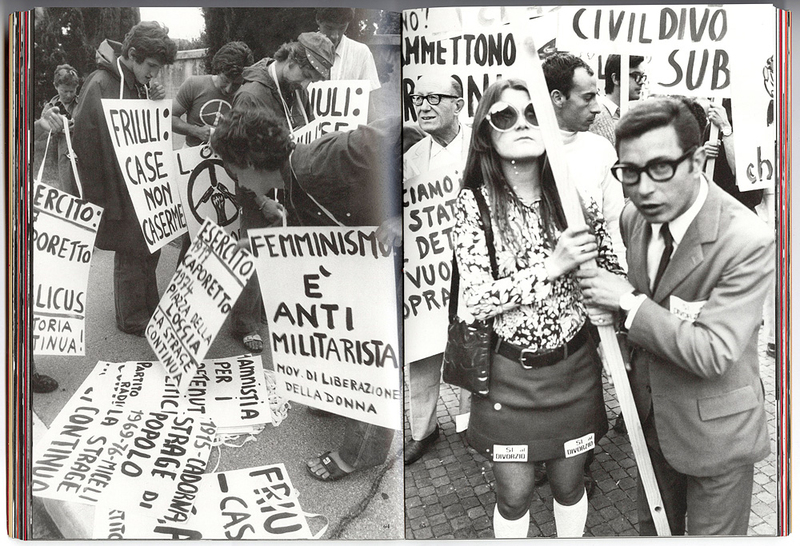 Two of the recent offerings from the Archive of Modern Conflict’s AMC2 series (though not the latest…) have both accompanied exhibitions of images from the archive’s collection; in the case of Issue 9, Amore e Piombo: The photography of Extremes in 1970s Italy, the images appeared at the 2014 Brighton Photo Biennal. With a title translating to Love and Lead, the photographs depict an era of sexual liberation and intense political strife. We encounter shrapnel wounds in the cover — literal holes that punch through the bright red paper, detailed on the interior flap, and pointed out — again, literally — by the first image, a close-up of a hand pointing to scarred concrete, making the violence, as well as the exhibition of such things for the camera, immediately evident. From this ominous beginning we move through a series of images of an inconceivably picturesque segment of 20th century Italian life. The photographs offer all of the eye-candy we want from this era. The clothing is precisely the right kind of outlandish, the protests so stylish, the politicians so clearly smarmy and corrupt, the clergy sleazy, perfectly captured in an image of a priest (cardinal?) walking by a fleet of reporters while adjusting his skull cap like a starlet bouncing her curls — and so many celebrities. It’s hugely cinematic. My immediate impression was of a Fellini film, and was reassured by the essay that the association was not merely from a lack of other mid-century Italian touchstones. Fellini is a heavy influence here, as is Hollywood, films in general. 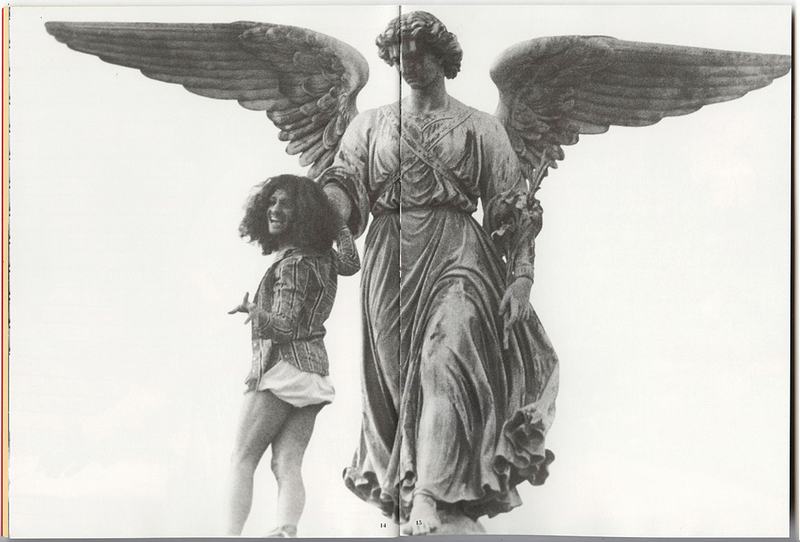 The essay suggests looking at the book while listening to a chunk of the soundtrack from the 1972 film Roma. It’d be hard to go wrong with a selection of images like this, but real credit should be given to Roger Hargreaves and Federica Chiocchetti for some wonderful editing. I would guess that this was a sizeable archive, and Hargreaves and Chiocchetti clearly pulled out an astonishing amount of choice material (it almost feels too perfect), but the editing within the book is notable as well. The whole story seems to fall open in your lap just asking to be absorbed; it’s immediately engaging and readable. Beautifully assembled with a terrifically lively layout, images are mostly presented full bleed, and pairings make easy and often funny conversation across the gutter. The glamor and energy of the first half of the book shifts to anxiety and bloodshed in the second, yet even in the move from nightclubs and celebrities to scenes of brutal violence, the cinematic tone is maintained. 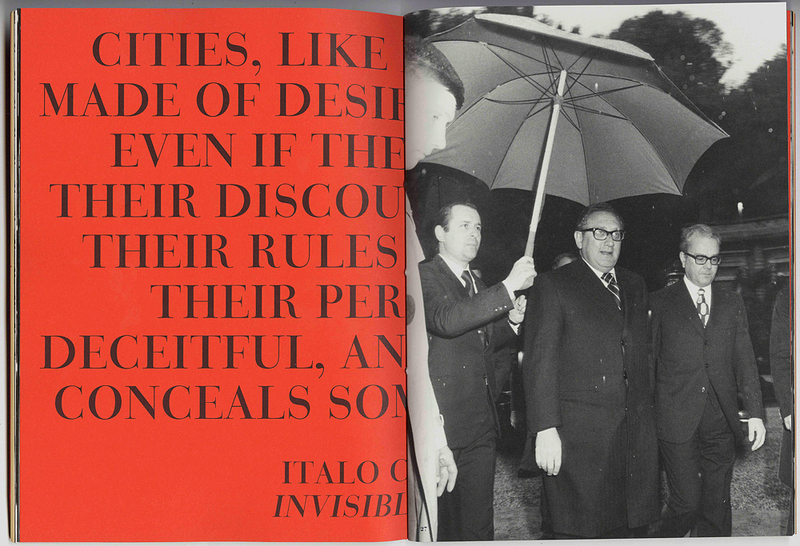 All of these images were shot by the press, but in an Italy that seemed to exist for the cameras […]. For the full version of Sarah’s review please click here.